Back on it with the 30 Day Makeup Challenge! I think Ive decided once and for all that i wont be able to fit in a look each day - after all, this is supposed to be fun - but I am going to keep going and try all of the looks. 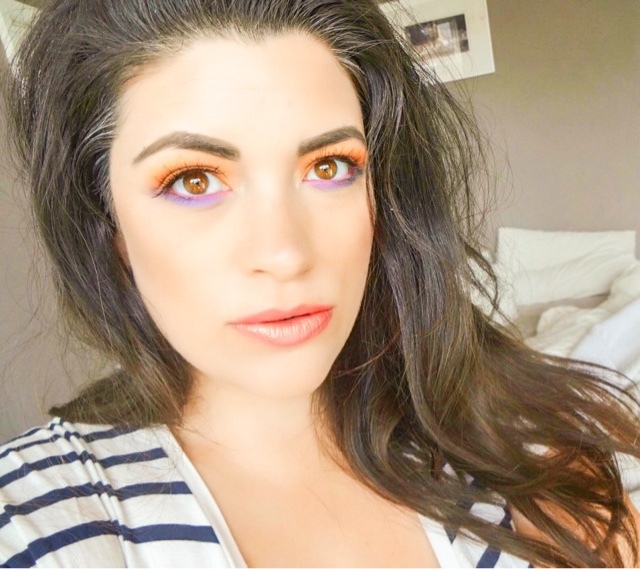 Today is Day 5, which is all about sunset makeup! This theme had me dreaming of holidays, tropical islands and cocktails. Because we've just had a few days of nicer weather, I'm suddenly very keen on jetting off somewhere for more of it. I went for a dramatic peach, gold and purple eye, with metallic peach lips and bronzed cheeks. What do you think? Definitely not my usual pared back look. The overall effect was much nicer than I thought, so I guess this challenge has taught me to be a little less afraid of using colour on the eyes, where I usually tend to stick to neutrals. It coincided nicely with the warm sunny weather and this would be a really great look to wear to a festival, perhaps even with added glitter involved! This look was really one of the more unusual for me just because of the amount of crazy shades! 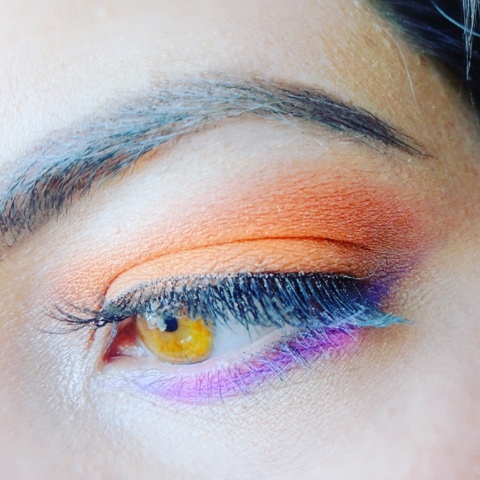 I dont think I'll be rocking orange and purple eye shadow at the office but perhaps I can adopt a more toned down version of this look for normal life. 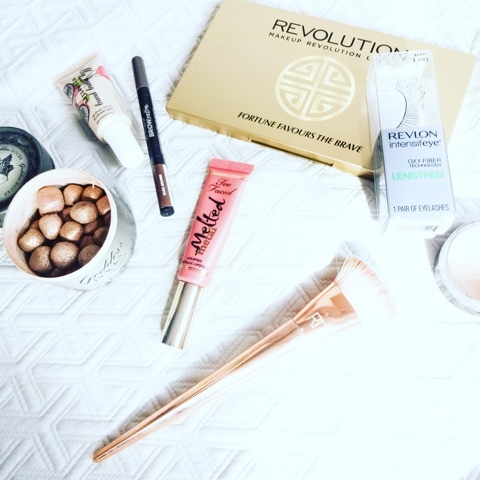 Are you joining in the 30 Day Makeup Challenge? Pop over to Instagram to see more.